Lake Bennett, named for Dr. Hugh Hammond Bennett, former Director of the U.S. Soil Conservation Service, now known as the Natural Resources Conservation Service, and known internationally as the father of soil conservation. 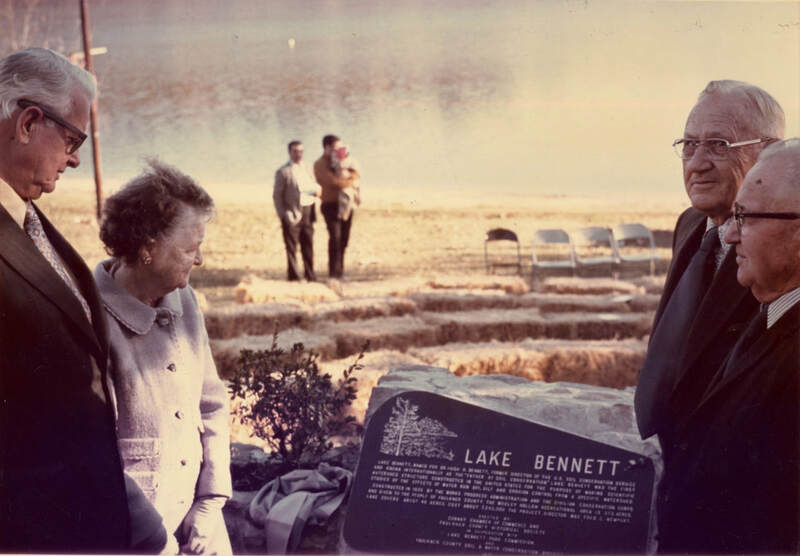 Lake Bennett was the first watershed structure constructed in the United States for the purpose of making scientific studies of the effects of water run off, silt and erosion control from a specific watershed. Constructed in 1935 by the Works Progress Administration and the Civilian Conservation Corps and given to the people of Faulkner County. Lake Bennett is 37 acres and is located in Woolly Hollow State Park. Original construction costs were around $250,000. The project director was Fred C. Newport.